You might lament that life is harsh. You want to earn a college degree but cannot afford the high tuition costs. However, did you know that by picking the right career field there are high paying jobs without college? The U.S. Bureau of Labor Statistics says so. Sometimes it is best to accept that college is not for you, at least for now. It is still possible to increase your income potential, armed with the fact that 44% of high school graduates and associate degree/vocational training graduates receive better pays than those with college degrees. Moreover, it is possible to enter the field even without experience. For high school graduates and those about to graduate and deciding what your next steps will be, continue reading to find out if any of these top paying jobs is suitable for you. If you have the flair for designing clothes but do not know where to start, do not despair. You can enter this field with only a high school diploma. It requires that you have exceptional skill for sketching, selecting fabrics and patterns and the ability to turn your designs into some wearable and fashionable. Become an apprentice and you can slowly gain your reputation through your hard work and artistic flair. The median salary for a fashion designer is $64,530, and the potential demand for fashions designers until 2020 is 6,700. You gain your training while working. 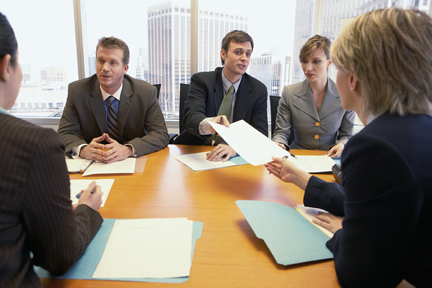 Did you know that the median annual salary for this type of work is $65,230? The project demand for electrical and electronics repairers is 6,900 until 2020. You need to have post-secondary non-degree education here. The job involves testing, repair, inspection and maintenance of equipment in power generation stations, substations as well as in-service relay stations. This is a very decent and important job that pays well with long-term on-the-job training. Did you dream of being a pilot when you were a child? There is something about seeing these distinguished looking men and women in white uniform to weave childhood dreams of soaring through the skies. However, did you know that you do not need a college degree to enter this field? What you need is a postsecondary non-degree education for this and the required number of flying hours. You do not even need to have work experience to apply for the position. There are 19,300 projected job openings for commercial pilots until 2020. With a median annual salary of $67,500 and the chance to travel the world, this could make you realize your dream in no time. A dentist needs a college degree and several years of experience. 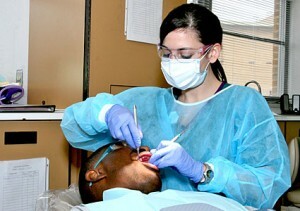 A dental hygienist gives assistance not only to the dentist but also to the patients. To enter this field, an associate degree is required. On the job, you will be tasked to clean teeth, provide preventative dental care and examine patients for oral diseases before the dentist sees that patient. Work experience is not needed here and you do not have to undergo on-the-job training before you could find work. It is projected that 104,900 dental hygienists are needed until 2020, with a potential to earn $68,250 on the average annually. This job sounds formidable but if you are interested in science and medicine, this is something that you should consider. You have the potential to earn an average of $68,560 annually, even without work experience as you receive the required training while at work. 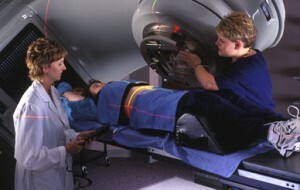 An associate degree is required to be a nuclear medicine therapist. Demand until 2020 for this type of work is 7,500. The work entails preparation and administration of radioactive drugs to patients that will go scanning and using a scanner to create images of the patient’s body parts. Even with just a high school diploma, you can apply for this job. You will receive your job training when you are already employed. The job description requires the successful candidate to coordinate, distribute or regulate power such as steam and electricity. There is a need for 3,600 workers in this field until 2020. You have the potential to earn an average of $68,900 a year when you become a power distributor or dispatcher. 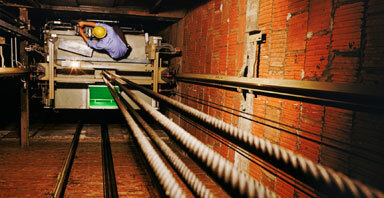 If you are not afraid of heights, small, enclosed spaces or wide expanse with nothing beneath your feet, being an elevator installer or repairer might suit you. While this job requires internship, you do not need work experience to be in this type of job. What’s more, you only need a high school diploma to qualify. The job entails fixing and maintaining elevators, moving walkways, escalators and other forms of lifts, including those in construction sites and other heavy-industry areas. Demand until 2020 is about 8,200. 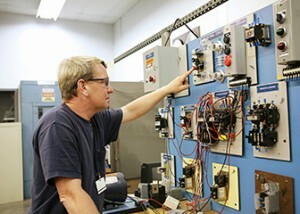 The potential earning for an elevator installer or repairer is an average of $70,190 annually. This is yet another science-related job. 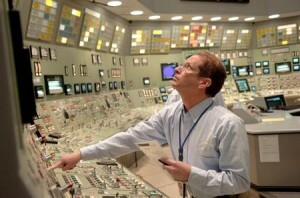 Being a nuclear power reactor operator places you in a field that is specialized, although surprisingly you only need a high school diploma to qualify for the job. Two thousand operators are needed in this field until 2020, with a potential to earn an average annual income of $75,650. The work involves starting and stopping equipment, monitoring and adjusting controls, keeping a data log and moving control rods. The demand for radiation therapists is high, with 6,700 workers in the field needed until 2020 to fill the vacancies. An associate degree in needed to work as a radiation therapist, but you do not need on-the-job training and prior work experience to apply for this job. Work includes observing the patients’ reaction to the given treatment, checking equipment and keeping a record of the patient’s radiation therapy session. Potential average annual earning as a radiation therapist is $74,980. If you do not get the chance to become a commercial pilot, there is still a chance to work with airplanes by becoming an air traffic controller. There is a huge vacancy to fill in this job category, as 10,200 new air traffic controllers are needed until 2020. 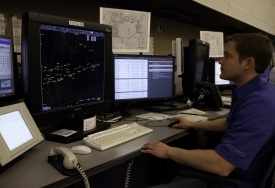 An associate degree is required for this job, which entails monitoring and directing the movement of aircraft at the airport. This is the highest among the high paying jobs without college degrees. Potential annual salary on the average is $108,040. Therefore, do not be disheartened by not having a college degree. The job market is quite open for those willing to work. The potential to find a high paying job without college awaits those who make the right choices. And even without prior experience to boot! If you want to join the workforce, now is your chance.